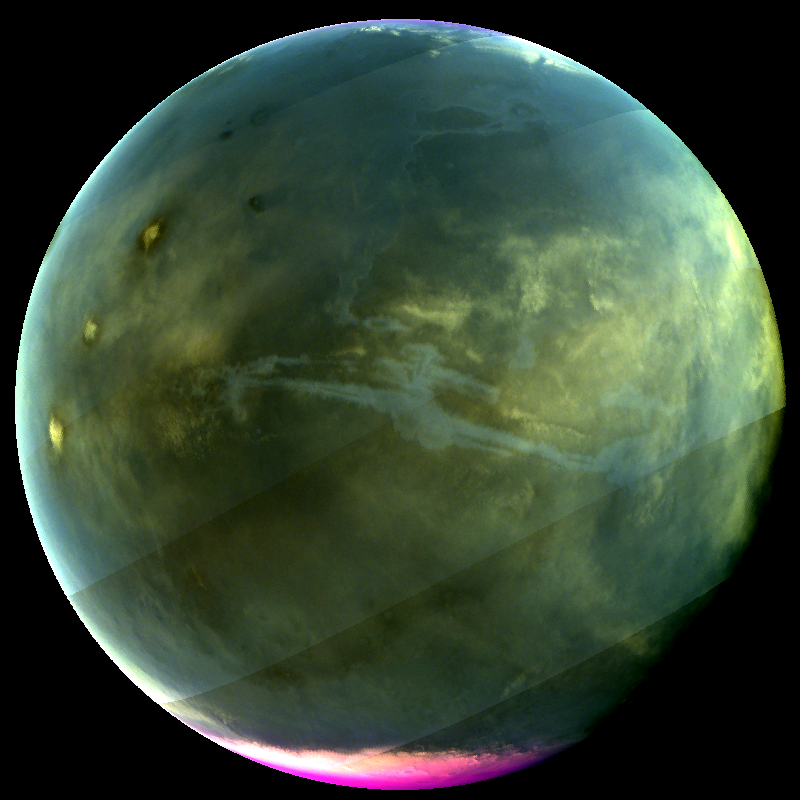 The images and videos collected here represent just some of the highlights from the IUVS instrument, since it began collecting science observations at Mars in October 2014. 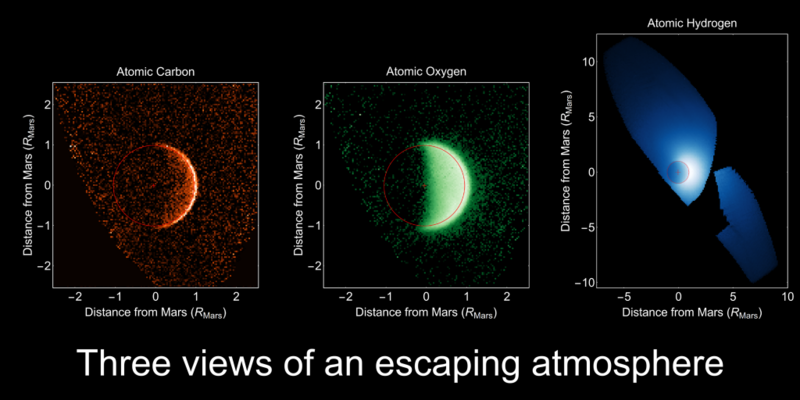 Three views of an escaping atmosphere, obtained by MAVEN’s Imaging Ultraviolet Spectrograph. 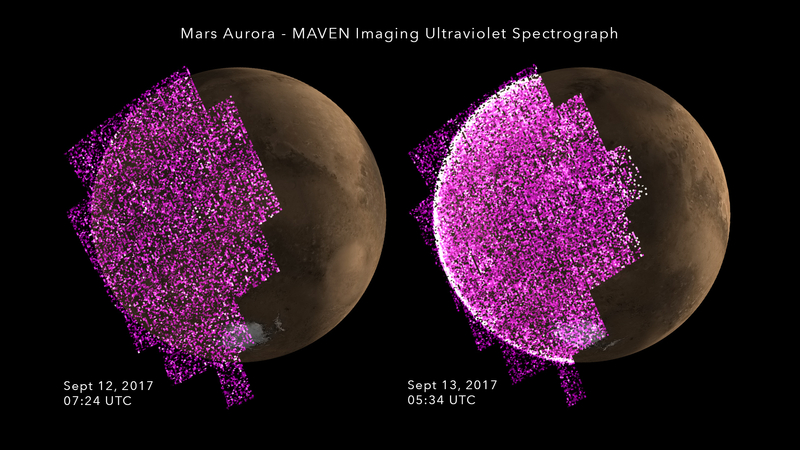 By observing all of the products of water and carbon dioxide breakdown, MAVEN’s remote sensing team can characterize the processes that drive atmospheric loss on Mars. These processes may have transformed the planet from an early Earthlike climate to the cold and dry climate of today.